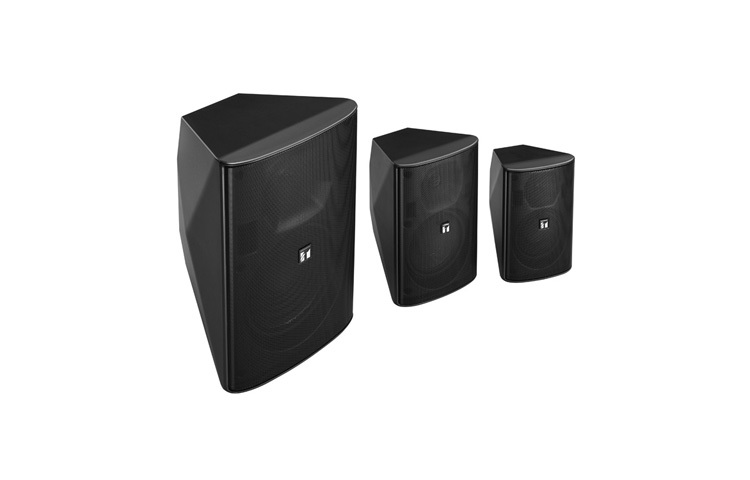 The indoor/outdoor box speakers shall be a two-way bass reflex enclosure suitable for indoor and outdoor installation. The low-frequency component shall be a 5” (13 cm) cone-type woofer. The high frequency component shall be a 1″ (25 mm) dome tweeter.